Don’t quit. What doesn’t kill us makes us stronger. Only the strong survive. But what if you’re in the wrong job? If you quit now, did you fail? Or win? After talking to him for a while, we both knew. He was in the wrong job. After many years of tremendous success in individual contributor roles, he’d spent the last few years in a supervisory position. He’s worked hard. Learned new techniques. Read the best blogs. But, he was miserable. He didn’t want to “quit” for fear of failing. So he worked harder, and felt worse. Perhaps you’ve felt this way. Grouchy – Cranky leaders spiral downward, lose influence, and sap energy. Not Making An Impact – Effort exceeds results. Dissatisfaction dominates. Teams disengage. You go home defeated. Unable To find Your People – No kindred spirits in sight. Unsuccessful searching for respected mentors aggravates the loneliness. Not Using Your Skills – Wasted gifts. No matter how hard you try, you can’t find a good way to leverage your best skills to improve your work. Emotionally Exhausted – Even the fun stuff feels hard. There’s no energy left for the after work activities that make life good. Trapped – Motivations comes from the periphery, not the job money, benefits, fear of having failed. You secretly wish you’d get fired. Overwhelmed – It’s all too much. There’s no way to get it all done. Quiet – Your refuse to talk about work to your family or friends. Even the question, how was your day makes your hair curl. Sick – A day off makes it worse. Thinking of the return creates headaches or inspires escape behaviors. Go slow. It’s much easier to get a job when you have a job. Keep up the effort at your current job. Don’t quit in place. Take care of yourself. Take a vacation. Take time to exercise and sleep. Think about other jobs orvolunteer gigs that you loved. What skills did you use? What did you find most fulfilling? Make a list of these characteristics. Arrange for informational interviews. Learn more about jobs you may enjoy. Share your feelings and explore options. Your boss may be relieved that you see the issue. Listen. There may be ways to modify your situation, or find other jobs within the organization that are a better fit. Posted in Career & Learning and tagged career, leaving your job, quit, quitting, resign. Great post Karin! I’m hearing “Should I Stay or Should I Go?” by the Clash in my head right now. I think this feeling is true for a lot of people. Mainly because they listened to a whole lot of well intentioned people about what to do with their lives. Working your personal financials to be free to change. Developing your skills gaps. Work on any areas that will be needed in your new career. I totally agree with you Jeremy! The plan is everything. I’ve been ready to jump so many times in the past and stopped myself because the plan just didn’t make sense…Thank God! Jeremy, That’s a great #7. I love the book Quitter on advice for that. 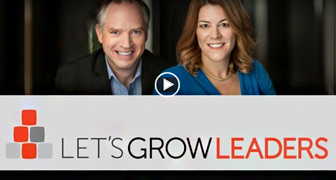 Great to see you back on Let’s Grow Leaders. @Karin. I remember reading a book a long time ago the tile of which to my best memory “Don’t quit your job till you find a better one”. If somebody has no job the employer will tend to offer less lucrative package. 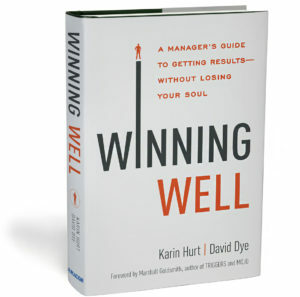 The lesson- If your job is in a field that is shrinking and/or if you feel you are not growing start looking for a job. These are early indicators that you should. Ali, great story. I like the concept of jobs having a life cycle. Your advice…don’t quit. That is the best first step anyone can take. But if someone is miserable, it might be inevitable. And especially if they have a family to support, they need a plan like Jeremy says above. I would do 2 things that seem totally the opposite of each other. I was ready to bolt until I read a Proverb that stopped me in my tracks. That link has the story. 2. I suggest spending two hours each week, every week for life, looking for your next job. That means essentially….networking. It doesn’t mean submitting resumes and necessarily looking for a job. It means keep an insanely warm network. In that case, you have to spend 10+ hours each week. Make the best of your current situation. Work like you love it and give 110%. You never know who might be watching or who might be able to help you. Matt, thanks for sharing your posts. All, great reads. Deliberate leaving is no quitting. I love your advice on networking. Thanks for contributing so richly to the LGL community. Deliberate leaving is not quitting. I once had a client who was head of HR for a significant company. The pressure was so great, she told management several quarters in advance she was checking out. Organizations are doing more with less and people are miserable out there. Unhealthy jobs are having an adverse effect on people’s health. If that’s the case, quitting is not an option. Steve. thanks for sharing that story. I was in this situation for longer than I like to admit. I’m not there anymore, thankfully! The best advice I could give (besides the above mentioned) is to focus on the positive. Not in some cheesy way either! Truly look around you to find things and people to be happy about. If nothing else, consider the people around you that are made miserable by you being miserable. Sometimes, you have to make a choice to be happy. I noticed that even in a job I couldn’t stand and a boss that was ridiculous, my personal situation was actually much more tolerable when I focused on influencing the people around me with a spirit of joy, grace, humility, & excellence. People appreciated me more and my job became more than just selling widgets. At first this change took energy, but shortly after I realized that the energy I poured into others was coming back to me, but magnified. It was pretty awesome! The great thing is that doing all of this actually helped me find my next role. Win-win-win! If you are in this situation…hang in there!! You can do it!! Bob, that’s fantastic advice. Thanks for the encouragement for the LGL community. Wow, this post as well as some of the comments are very helpful! I wish more people could see this kind of advice sooner than later in life. Honestly, it’s one of my favorite topics. This blog is definitely one I want to participate in! 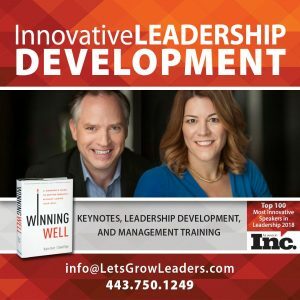 Let’s grow leaders! Michael, I am so glad you find this useful. I look forward to your joining the conversation. If you have other topics you are interested in, please let me know. I am 18 and worked at my job for the last 2 years. when I started the shop was off track and about a month later we had to move to a new location. it was a lot slower at the new location and it began to louse a lot of money. before I knew it the job was going under and I had not yet been paid. as I was only 16 at the time so their was no real need for my wages so he paid everyone else and not me hoping things wood turn around. a year later I had still not been paid but I had known him for the last 8 years so I could not simply quit. when I turned 17 I started working 2 jobs and when I was 18 I started working 3 so I could have some money for college. today was simply to much and I left my key on the front counter and walked out. all in all in the last 2 years ho owed me 6000 dollars. I feel bad but I knew that I needed money for college and that I was never going to get paid their. has enewone else worked at a job ware you were not paid? Jimmie, That sounds terrible. Have you talked with him about a payment schedule for the money he owes you? You may also want to talk to a lawyer. I have to make this decision tomorrow. I’m working as a office manager at a company 5 minutes from home, very flexible, I have built up vacation time and good security. The pay is 27,000 a year, no where to move up to and raises are rare. I have been offered another job as an office manager at a dealership making 40,000 a year, with lots of room for growth. The downside is a more demanding schedule with less wiggle room for time off (I have two kids, 10 & 13), also a 30 minute drive to work. Saturdays are required with Sundays and Mondays off. I’m so confused about what to do. I hate to leave a decent job, not knowing if this will work out, at the same time I don’t want to pass a good opportunity. Another factor is the opinions of family and friends and how that influences our decisions. My mom for example is already guilting me about the added time away from my kids and how she thinks it’s a bad choice. Says she has a bad gut instinct. Do we listen to these things? Marie, It’s never easy. However, I believe one thing… you must listen to your heart.